My first solo run as an entrepreneur was at age thirteen, and I had to consummate a $4,000 (at today’s value) transaction 30 kilometers away from home. It was my initiation to entrepreneurship, and I continue to find joy in building businesses, creating solutions and designing products and services till date. At age twenty-five, I was managing accounts for Procter and Gamble, Sumal Foods (largest confectionary in Sub Saharan Africa by volume), and several other corporate clients. I had closed large profitable deals and made losses on others, traded commodities across West Africa, seen several business divisions of the family business start-up, then fail or succeed, I had raised capital from and restructured credits in three of the top ten banks in Nigeria. I had sold great brands and built an outstanding distribution chain for consumer goods in southern Nigeria. 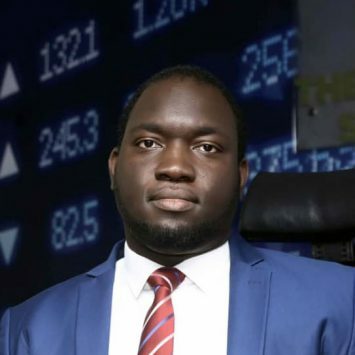 I currently serve as the Country Manager for AFEX Commodities Exchange Limited (AFEX) and the Regional Director, Africa Exchange Holdings for West Africa. At AFEX, we are building systems that leverage technology, innovative finance, and inclusive agriculture to connect smallholder farmers to commodity and financial markets. I hold an MBA from Lagos Business School, a first degree in Mechanical Engineering and a diploma in Heavy Equipment Engineering from Penn Foster University, Scranton, US. In my current phase, I am learning the definition of success to be more than just career goals and financial aspirations, I now define value creation more broadly that profitability and growth, and I am finding ways to create and scale businesses that solve life’s wicked problems – poverty and its impact on health and education of poor Africans; food security and climate change. I am a proud father of two and married to an awesome Medical Doctor.